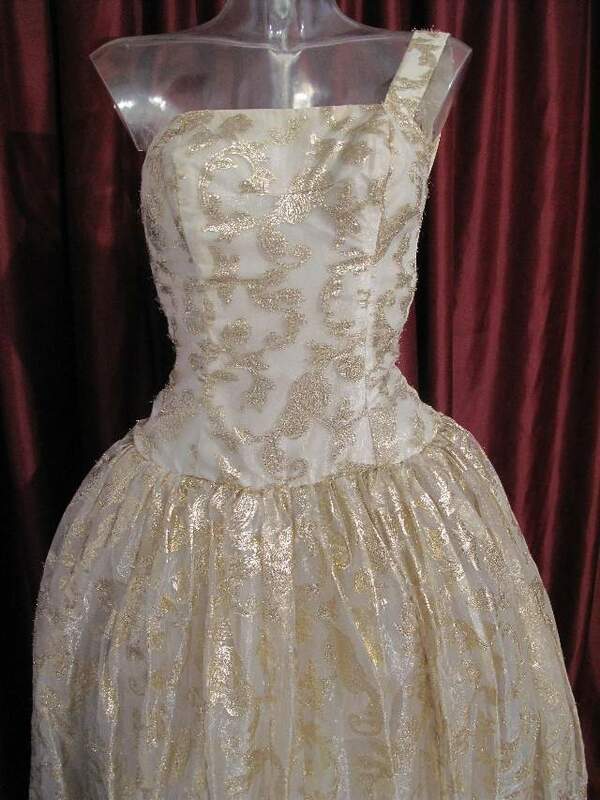 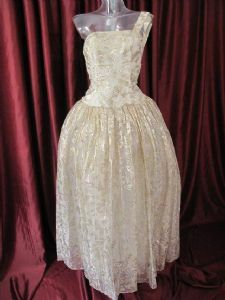 1950's Soft gold brocade organza vintage wedding gown. 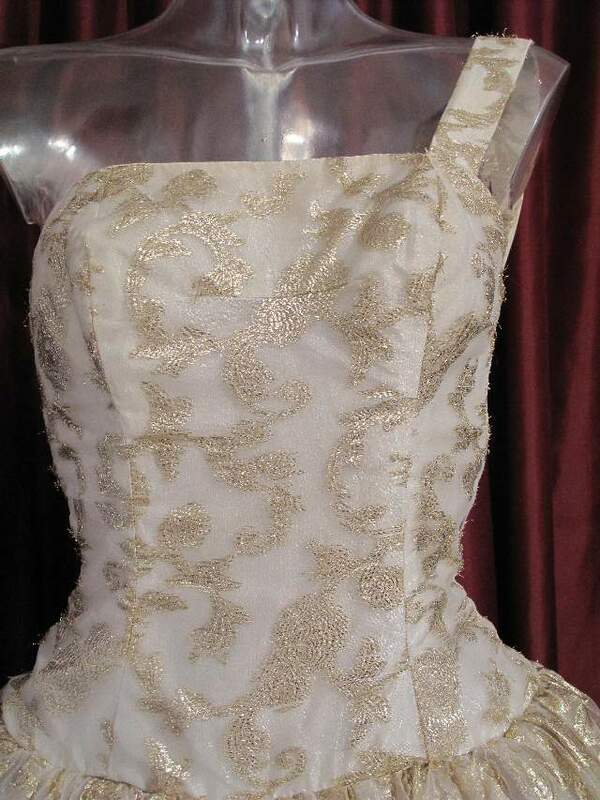 Boned and strapless bodice fitted to the hip with a one shoulder strap detail. 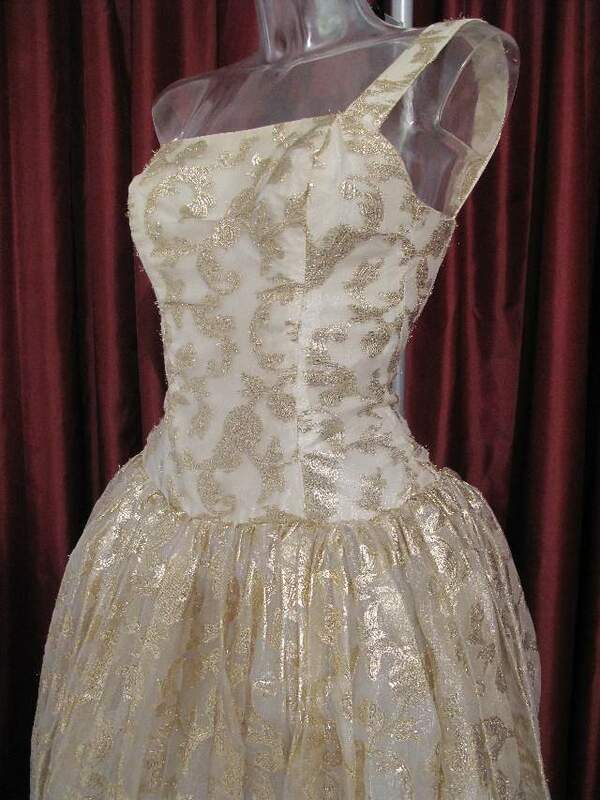 The skirt is extremely full, with a layer of gold organza brocade, two layers of net, satin acetate underskirt and a layer of stiffened muslin. 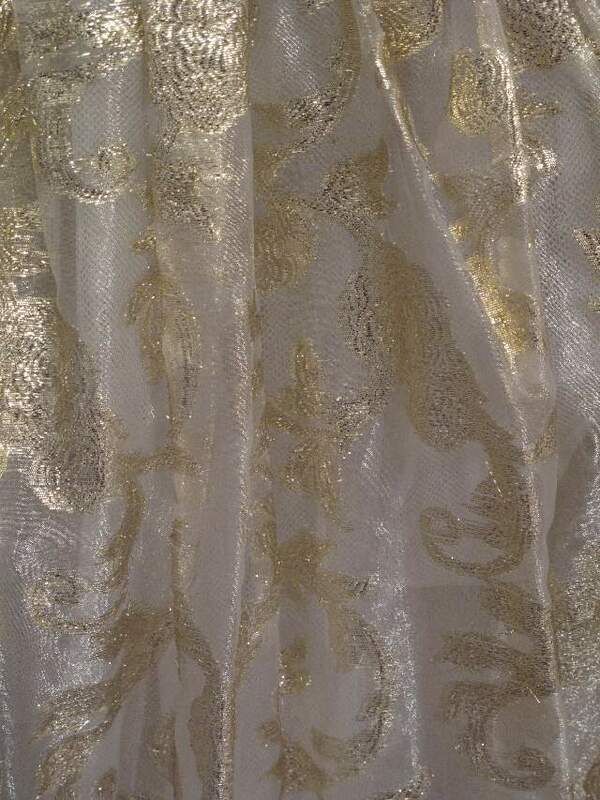 The gold colour is very soft and flattering, the cream organza fabric is woven with gold lame jaquard in a swirling floral design. This dress really has the 'Wow' factor and is stunning for a wedding.